Budgeting is never an exciting subject to talk about, but miBudget does at least succeed in making it look a lot more appealing. Even if you are a bit of a dropout when it comes to all things finance, this app is certain to keep you interested and on the right track. It's really easy to use, highly customizable and looks pretty to boot. You can save money really easily by monitoring just exactly where that pay check disappears to every month. A quick tap on the relevant area and enter in the amount and that's it. It keeps track of all your payments throughout the month and you can keep an eye on your money easily. Identify areas that you could manage to cut back on and find out where you are losing money thanks to easy to understand, color-coded graphs. You can even export all the information by email in an Excel format to store on your computer. Although there are a few budget apps in the App World that provide more features, they cost around $20 which pretty much defeats the object of purchasing a budgeting app in the hopes of it saving you money. If you really like to be organized, but find you need to write copious lists in order to achieve organization nirvana, then this Shopper app is right up your supermarket aisle — and it saves you money too. 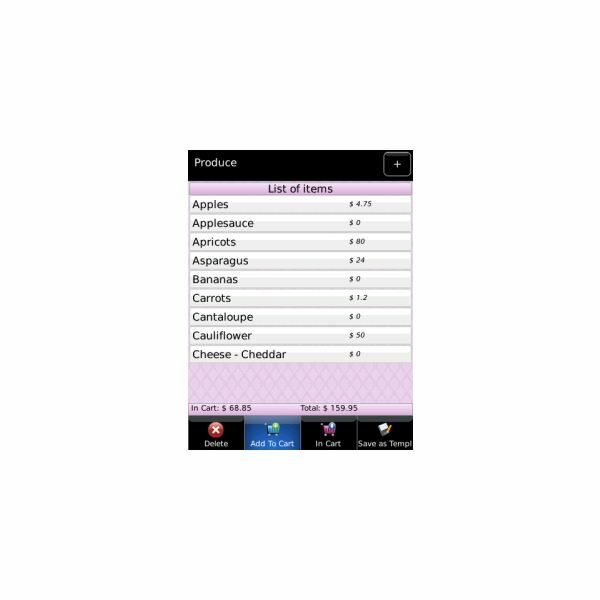 Most shopping apps are either in the money saving or shopping list category, but the Shopper app happily combines the two and then some! 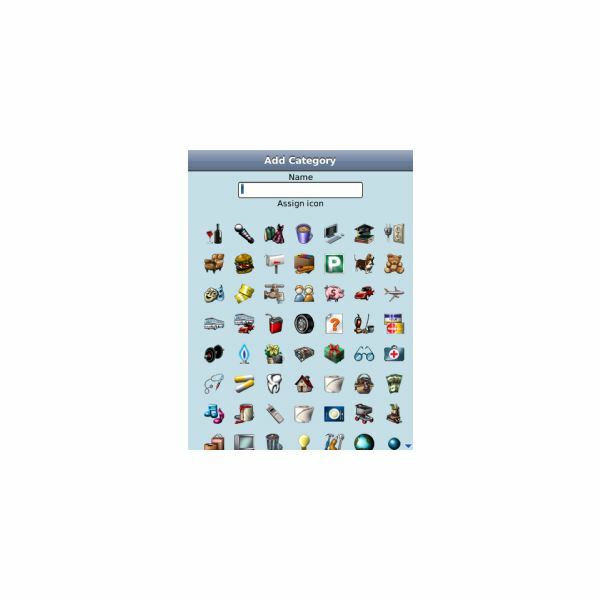 If you want to use it for your weekly grocery shop and organizing yourself into lists and categories then you can do that. You can also create multiple lists for each shop you are likely to visit, add prices to make sure you are sticking to your budget as you shop, and use it to calculate all the tax for you, as well as including coupons to save you money too. You can even add notes and photos to certain items to make sure you are picking up the right item — no expensive mistakes! This app doesn't just save you money, it makes you money! The app runs in the background, so you aren't even aware of it being there and it sends information to the SmartPhoneMate people so they can evaluate just how people are using their BlackBerrys. For taking part in this survey you get paid $3 of Amazon vouchers a month, which are sent to you automatically via a code. For your part all you have to do is to restart/reboot your phone once a day, and have an active data plan (it's no use just thinking you can install this on an old device you don't use anymore). As long as 20 days of the month have information for them to use, then you get your code and it's as easy as that. It's quick and easy to sign up once you have the app, and after that you don't even notice it — no drain on your battery or any such interference. The company and the app are highly rated, with only around 2% of users experiencing any kind of problem. At the moment this is only available in the US with any degree of success (it's available in the UK and Indonesia for example, but it seems there are teething problems in these areas). If you find, after using the budget app above, that far too much of your money is spent on car parking (join the club), then the Compare Parking Rates app is here to save you. It works in 30 cities and 79 airports in the US and is a real joy to use. 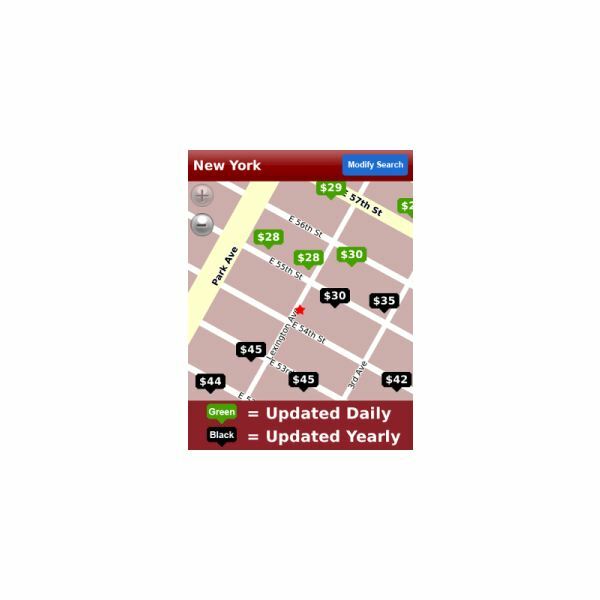 It doesn't just involve a search and a list of possibilities of parking, it takes your location and presents you with your options on a map in an easy to understand way. The huge advantage to this is that it comes up with the prices of each one, that you can see at a glance, and it goes one step further to be up to date too. Many car park rates differ depending on the day or the time, and all this information is presented to you seamlessly. Remember that airport car park rates change according to how long you are staying, and this handy little app has all that information for you as well. Rather handily, there are other little features that make this a worthwhile download too, such as hours of operation, if they take credit cards, or if it's a self park or valet car park. One major downside of this app is that it only works for Verizon customers with a Storm or Storm 2, but the geographical coverage is pretty extensive, so it's hard to complain. If you are the one who always has to work out the tax on a meal, or pay the lion's share of the tip because everyone else is on their way out the door, then this is for you. I personally get fed up of those people that order every course going and multiple bottles of wine only to decide at the end of the meal that it's easier for everyone to just split the bill — we all know those people. If you use this app you can just make it look like you are showing off your phone and this great new app. It is also a bit cooler than getting out your calculator. What the EZ Bill splitter has over using a calculator is that it can cope with multiple data entries all at once — which people ordered what, total bill etc. 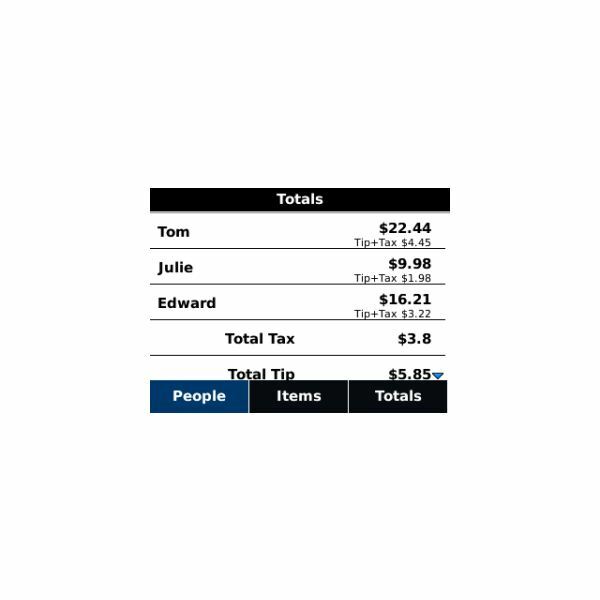 It works out the tip and the tax and then shows everyone separately how much they should pay. There's also the option of just entering how many people are at the table and then work out the bill if you've all ordered about the same, which is considerably quicker. Have a coupon? No problem as this app can deal with all that too. It's not a fabulous looking app, but then I suppose it doesn't need to be. It works very well, is super easy to use and only costs 99 cents. Have any other money saving apps that you'd like to share? Please let us know!